Personal Contract Purchase (PCP) could be the next major mis-selling scandal, according to car finance experts at the National Association of Commercial Finance Brokers (NACFB). With the volume of Payment Protection Insurance (PPI) cases drying up, claims lawyers are said to be now turning their focus to car finance, specifically the Personal Contract Purchase (PCP). In 2015, more than one million cars were funded by PCPs and – it is claimed – that many could have been mis-sold with car dealers providing insufficient or misleading advice. 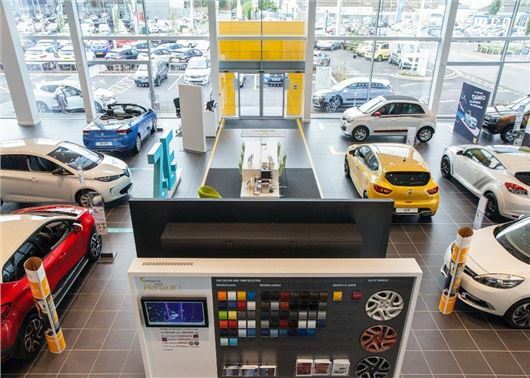 Sales staff tell prospective buyers considering a PCP that they will make a profit at the end of the contract (or be in ‘equity’), as the car is likely to be worth more than the final optional ‘balloon payment’ figure. It is claimed that some dealers have told customers that this ‘profit’ will then help towards the down payment on the next car. In reality, this is not a profit. It is simply money that the car owner will already have paid but is simply getting back. “If the PPI claims lawyers conclude there is enough basis to put forward a mis-selling case on PCPs then, given the huge volumes in which these products have been sold to both private individuals and businesses, the car finance industry could be shaken to its roots," said Graham Hill, car finance expert at the NACFB. It is certainly the case that in all our PCP contracts - 3 to date - it has always been implied by the selling dealer that in the event of the final balloon payment not being made, and the car thus handed back as a 'trade-in' for a new model, then the remaining equity in the car should exceed the balloon payment required to settle, and thus becomes the deposit against any new vehicle agreement. The differential has never been huge, just a few hundred, or up to a £1000, but that is how it always worked for us. We've always been told that no one ever pays the balloon payment at the end of the contract, as that would be a very expensive way of buying a car outright, but for those who are happy to lease a car with no view to eventual ownership, then PCP contracts have enabled us arguably to have use of a better quality vehicle than we could otherwise have afforded using more usual forms of finance or savings. We have always felt the monthly terms to be fair, and the 'wear & tear' conditions at trade in to have been fairly used and without penalty, providing that the car has been kept in the condition that any private owner would consider appropriate. Interesting to note that the wording 'Minimum Guaranteed Future Value' is hardly ever used nowadays, as I suspect the market is simply to volatile in second hand cars to make that term sustainable. We have never felt mis-sold on a PCP contract, and none of our selling dealers that I recall have ever used the word 'profit' at any point - simply a convenient way to finance a depreciating asset over time where ownership is not an issue. I never understand why people use PCP when Personal Contract Hire is so much cheaper, even with a low deposit! Dealers don't offer you PCH either, and when I recently enquired about a new car the PCP was £120 more expensive a month than PCH for a Seat Ateca. mis-selling soon so others can not be mis-sold like myself.